Today, our Back to Basics series continues with a look at all of the ‘legalese‘ used in association with filing for bankruptcy. Like almost any area of law, bankruptcies are chock full of legal terms that can be difficult to understand. It’s extremely important that you have a good grasp on bankruptcy legalese before filing so that you can make sound decisions regarding your case, and subsequently, your future. When you meet with Veitengruber Law, we will take all the time it takes to ensure that you thoroughly comprehend everything that we discuss. With that being said, you can get a jump start by learning about some bankruptcy terminology before our first meeting. Therefore, we have compiled a list of the most common legal terms used in chapter 7 and chapter 13 bankruptcies in New Jersey. Automatic stay – One of the most important bankruptcy terms, an automatic stay means that as soon as you file for bankruptcy, none of your creditors can attempt to collect any money from you until after your case has ended. An automatic stay can also help you keep your home if it’s in danger of being sold via foreclosure (Sheriff’s Sale). Bankruptcy estate – Your estate is simply any property of value that you own or have equitable interest in at the time of your bankruptcy filing. Creditor – People, or more likely companies, from whom you have borrowed money that you are having trouble repaying. Debtor – In this case, the debtor is you. A debtor is a person who owes money to someone else. Discharge – This is the bankruptcy outcome that every debtor hopes for. A bankruptcy discharge is issued by your bankruptcy judge at the end of your case, and it states that your dischargeable debts are dismissed. A discharge means you will no longer be responsible for repaying the dischargeable debts that were included in your petition and that creditors are no longer allowed to contact you regarding any debts that were discharged. Dischargeable debts – These are debts that can be virtually erased with a bankruptcy discharge, and they include: credit card debt, medical debt, personal debt, past due utility bills, and even car loans and mortgage loans. It’s important to know, though, that if you choose to have any debts discharged in order to remove a lien*, you will lose the property at the end of your bankruptcy case. Exemptions – If you file for chapter 7 bankruptcy, a trustee will be assigned to your case. The trustee’s job in a chapter 7 bankruptcy is to sell some of your property (called liquidation) in order to repay some of your debts. Certain property is protected or exempt from being sold. You can read about New Jersey’s bankruptcy exemptions here. Lien* – A notice that is attached to property (your home, vehicle, etc) that makes it known that you owe a creditor money before the property is officially owned by you. Nondischargeable debts – Certain specific debts do not qualify for bankruptcy discharge because of their high importance. Examples include: child/spousal support, student loans, fraudulent debts, and some taxes (tax liens, property taxes, certain employment taxes). Reaffirmation – If you want to keep an item that is considered dischargeable (i.e. could be sold by the trustee), you can reaffirm the debt and continue making payments after your bankruptcy is concluded. This allows you to keep your home and vehicle (which you’ll still be required to pay for), if you so desire. Trustee – A third party (typically another attorney) who is appointed by the bankruptcy court to be in charge of overseeing your case to ensure that nothing is missed and that all nonexempt assets are liquidated appropriately. The bankruptcy terms we included today are some of the most common and most important legalese that you’ll come across in your bankruptcy case. 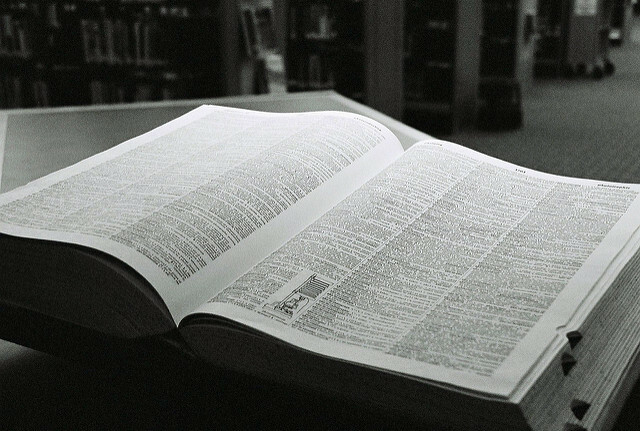 Now that you have a solid grasp of the most basic bankruptcy terminology, we will delve deeper into some more complicated bankruptcy language next week. Stay tuned for Part 2!